Talk to a Customer Service Representative at . Saturday from 9:00 AM to 12:00 PM (CST). Money orders and cashier’s checks can be mailed to the below address. Personal checks are not accepted at this time. 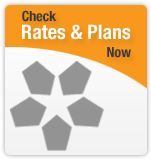 Log into your My Account to view bill summaries, make online payments, and manage your account settings.